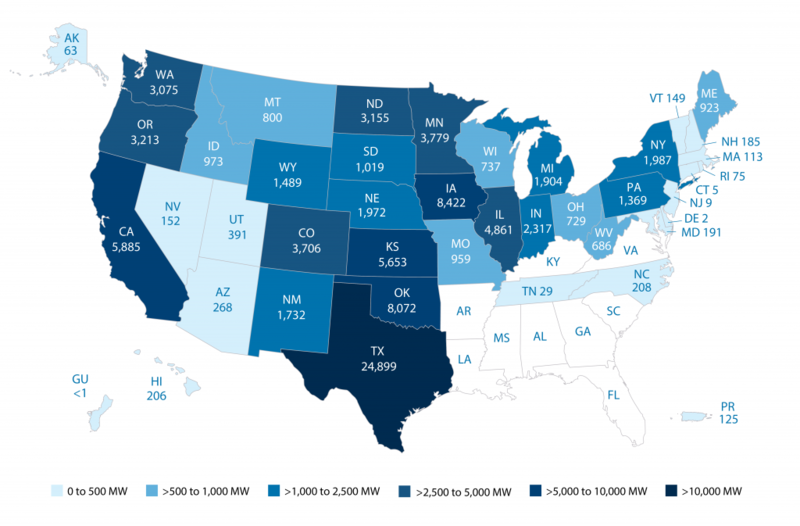 U.S. Wind Industry Fourth Quarter 2018 Market Report reveals that consumer demand combined with policy stability and low, stable prices helped wind power capacity installations rise to the third strongest quarter in the industry’s history. Another big highlight—demand from corporate buyers hit an all-time high in 2018. Here are some of the top takeaways from this quarter’s report: Continue reading here. The $5 billion wind farm backed by Colorado billionaire Philip Anschutz is set to install up to 1,000 turbines on portions of 320,000 acres of federally- and privately-owned lands south of Rawlins and northwest of Saratoga. It’s projected to usher in about $850 million in state tax revenues. This entry was posted in Nebraska / Midwest News, NewsBlog and tagged billionaires Philip Anschutz and Warren Buffett, Into the Wind - AWEA Blog, Nebraska's wind energy development, U.S. Wind Industry Fourth Quarter 2018 Market Report, wind energy development in Wyoming on February 4, 2019 by Helen Deffenbacher.